Your carrying cart should not weigh more than the stuff you are carrying. 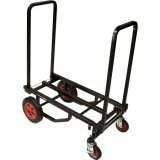 The Jamstand cart is one of the best carts available. This cart is lightweight but built well. 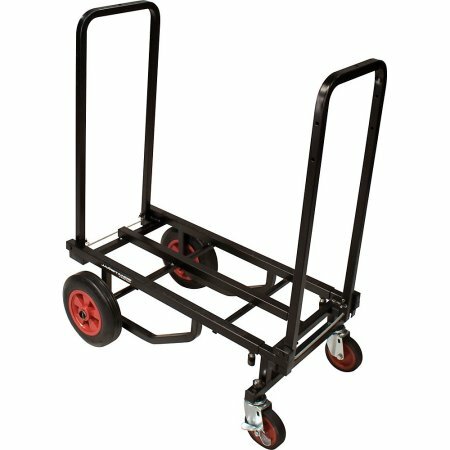 I tried the home improvement store carts But after frequently lifting one of those into my car, my "back" appreciates the Jamstand cart. 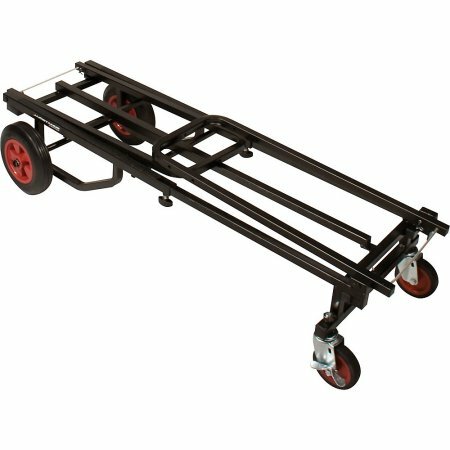 We have been carrying all types of carts and this is one of the best. 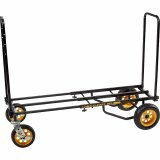 I can fully attest to the value this cart has to drummers, bass players, guitar players, sound guys, anyone who has stuff to carry. My personal experience is the reason we now offer these. 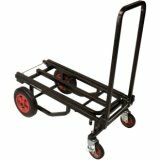 The cart is available is two sizes such as the KC80 (200 lb capacity) weighing only 16 lbs. Use the drop down menu to decide which one is right for you. Low profile design (with the ends folded down) allows it to be tucked away in a closet or under the risers during the gig. 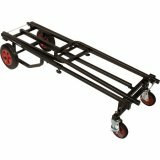 Wheels and casters to rool over dirt, grass and rough terrain.